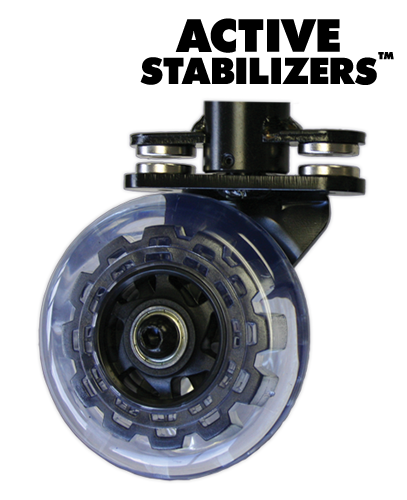 Mobility pioneer Michael Flowers developed technology to solve the tipping issue that has plagued all 3 wheel scooters for years. 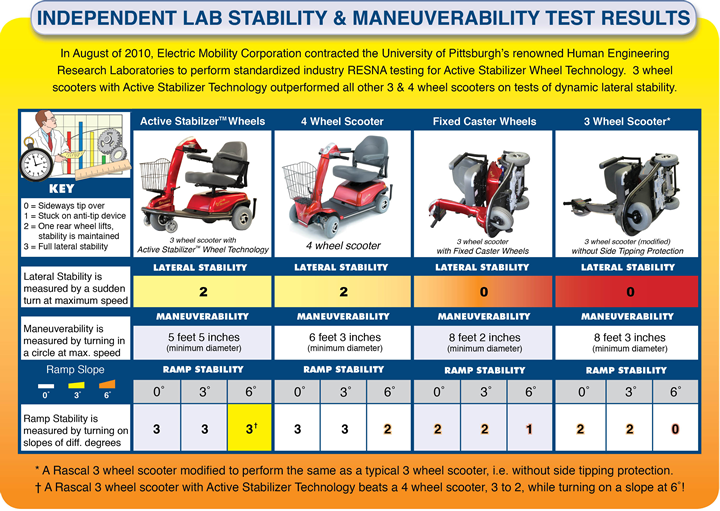 3 wheel scooters with Active Stabilizers outperform all other 3 and 4 wheel scooters on standardized industry RESNA tests of dynamic lateral stability. 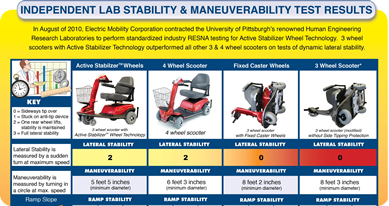 Active Stabilizers are an after-market kit that can be added to frame of several popular 3 wheel scooters. 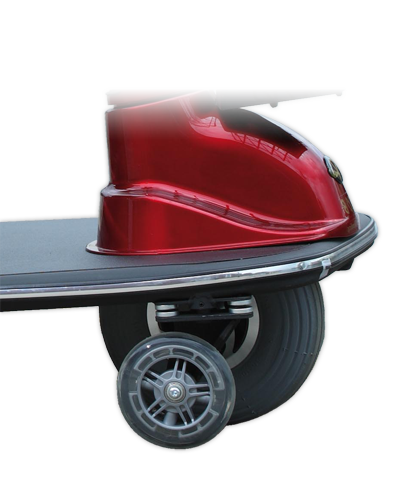 This simple but effective solution to tip-overs is available for Rascal AutoGo, Golden Companions and PaceSaver heavy duty scooters.